This Christmas, Coca-Cola invites you to recognize those who make the season possible, enjoying magical moments together. A campaign created by advertising agency Pereira & O’Dell in San Francisco launches globally this month with a message that inspires people to give thanks to those who make this season special. In December 2017, Coca-Cola is releasing special edition Christmas packaging for Original Coca-Cola, Coca-Cola Zero Sugar and Coca-Cola Light. Bottles and cans feature 30 messages of thanks including “Thank you for creating magic”, “Thank you for wrapping the gifts beautifully”, “Thank you for spreading Christmas cheer”, “Thank you for stuffing the stockings”, and “Thank you for singing out-of-tune carols”. The campaign is supported with a short film titled “A Magic Thank You”, directed by Oscar-nominated Theodore Melfi (“Hidden Figures”). 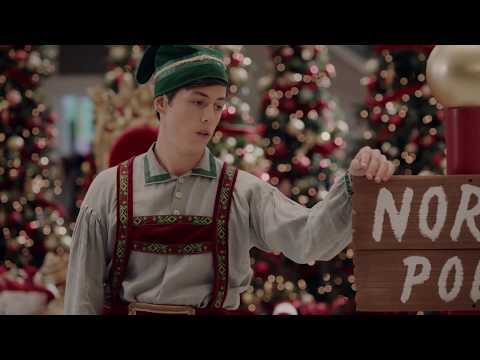 The social-driven tale stars Scott, a mall elf who overstates his Christmas enthusiasm while trying to impress a girl. The conundrum leads to a chance encounter with Santa and a rideshare driver who work together to save Christmas in this modern twist on a classic tale. Melfi, a self-proclaimed Christmas fanatic, embraced the formidable task of telling a story that reminds us to be thankful and charitable. This Christmas, say thank you with a Coke for those who work hard to make the season special!